Forthcoming regulatory changes are going to force companies to stop using non-geographic 084, 087 and 090 premium rate telephone numbers for post sales customer support; however it does not stop their use of these numbers for general sales lines. This is going to affect a major change in ongoing costs for many organisations, as currently these numbers generate a revenue share than can be used to offset the cost of staffing necessary for personal support via the telephone, e.g. large call centres. It is important for businesses to understand that premium rate, revenue generative numbers can still be used for general pre-sales lines as normal. Notwithstanding, there are still many reasons to retain the functionality these non-geographic numbers can provide, particularly for enterprises that wish to apply mechanisms to filer and segment inbound callers based upon profile or even dissuade unnecessary calls, for example, hotels get a lot of ‘rate shopper’ enquires that don’t actually result in a booking. My business uses a Premium Rate Number, what shall I do? At a minimum, companies already using these numbers will need to examine how their current service management and call-centres facility is set-up. They may wish to consider a two pronged approach where new sales and general enquires still use a non-geographic number, but all post sales enquires use a standard rate number with a 01, 02, 03 prefix, or perhaps a 0800 toll-free number. In unison with these forced changes, the UK regulator earlier released new 0300 and 0330 prefixes and these numbers, whilst non-revenue generative, can still to provide the many benefits of the old style non-geographic services, for example: divert on busy, load balancing between virtualized call centres and fulfilment points, queuing capabilities, IVR messages and enquiry pre-selection, to name but a few. In the next few months it is critical that enterprises review their existing systems and customer support philosophy. However, no knee jerk reaction is needed as the changes don’t come into effect until June 2014, so it’s worth seeking out a telecom partner that has experience in this area; ideally one that is well versed in advising, designing and deploying solutions that best support your company and your consumer’s needs across a spectrum of market verticals. Tripudio have years of experience in this area and already support a spectrum of high quality, consumer intensive and brand aware enterprises such as easyJet, H&M, Columbus Insurance – so why not contact us to see if we can do the same for you? 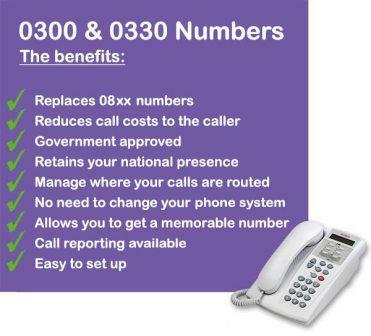 Be the first to comment on "Government Cuts Premium Rate Numbers – Replace with 0300 Numbers"